We were supposed to meet with Rick Small, the winemaker for Woodward Canyon Winery at 3pm but that unfortunately did not happen. We were at Wallula Vineyards longer than expected. We were just taking it all in. Absolute beauty! We rescheduled a meeting with him Thursday instead. Later this evening we met with Jamie Brown, winemaker of Water’s Winery. Jamie picked us up at The Green Gables Inn located in Walla Walla. He first drove us all around Walla Walla to show us all the different growing areas for vineyards. He also told us of other such crops including onions, asparagus and peas in the area. Jamie described the Walla Walla AVA as being somewhat of a giant bowl which is located both in Washington State & Oregon combined. He talked about the Missoula Floods which molded the region. As we drove around the area, most of what could be seen were rolling green hills of vineyards and other crops with big hoovering gray clouds above. Through these clouds were piercing sunbeams that appeared to glow on the distant green hills. It was like splotches of sunburst energy speckled here and there, lightly like glitter shimmering. We filmed the entire duration we were being toured around. Jamie told us about how Merlot is an important varietal is to Washington State. He also mentioned Syrah & Riesling as being great wines being produced from the area. We learned that there are many vintners experimenting with lots of exotic varietals in small productions. Some we had never even heard of. So it is clear that the vintners of Washington State are not afraid to try new things. Jamie also clued us in that all the winemakers drink beer, but even still they have a strong sense of place with an old world mentality when it comes to vineyard managing/wine making. Jamie let us know that Walla Walla is a quaint farming town that is not ostentatious. He did admit that it was starting to grow as a wine region, but added that the area is still much more spread out than Napa Valley. Many garage wine producers in the area are starting to have tasting rooms in the downtown area. Maybe Walla Walla is currently like what Napa Valley was when it was first being recognized a great wine growing region? For dinner we all had a fabulous meal at Saffron Mediterranean Kitchen in downtown Walla Walla. We met Dave Merfeld’s (winemaker of Northstar Winery) daughter at Saffron and later saw her again at a local bar, The Green Lantern. It was interesting to townsfolk of all ages at the bar. We all had a shot of Patron, then Jamie got a pitcher of local beer with very strong local hops flavor. I’m not a beer person, so Jamie got me a Whiskey Sour instead. I was happy with that. At the bar we learned that people who live in Walla Walla refer to it as either “WW” or “Wallyland.” Using the term “Hella” is quite common too, it’s not just a Northern California expression. Today was indeed a big day that ended with a long evening, but well worth the information and memories. 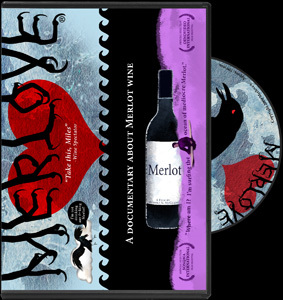 FYI = Not only does Jamie make a great Merlot with a catchy label, he makes a phenomenal Syrah. It really is killer! I know from experiencing it. Yum. Something else Jamie also told us was that he use to play guitar. Interesting little tidbit. I liked how his ideal Merlot woman is Lucinda Williams.